Victim wearing Star of David assaulted by group of Syrian migrants, German news outlet claims. Targets of assault may also have been Syrian. Police did not give the names or nationalities of the suspects or the victim, but German daily Welt had reported that all involved are Syrians. Police said the victim had approached the group in a park to borrow a lighter, but his cigarette was snatched away. The 25-year-old was wearing a chain with a star of David, which police said was ripped from the victim's neck by one of the men, while spewing "anti-Semitic insults". The attacker allegedly repeatedly punched the victim in the face, before fleeing. The victim was treated in a hospital after suffering cuts to the head. Police added that the three female suspects aged 15 to 21 and seven men aged 17 to 25 were subsequently released, but that a special branch of investigators dealing with politically motivated crimes have taken over the case. Germany was shocked by a case of anti-Semitism in April involving a Syrian migrant who lashed out with his belt at an Arab Israeli man wearing a Jewish kippa. 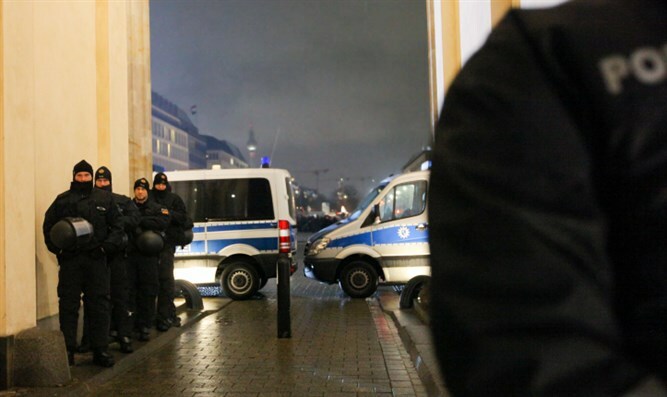 The attack was the latest to raise alarm bells about renewed anti-Semitism in Germany from the large influx of predominantly Muslim migrants since 2015. Chancellor Angela Merkel, speaking with Israeli television, had also denounced the emergence of "another form of anti-Semitism" beyond that of radical nationalist groups, from Muslim refugees.